As I’ve said before, your 1,000 Little Things book has been helping me let go of a lot of stress and pain from my past. I’ve been reading a couple small experts every morning before I eat breakfast and every evening before I settle down for the night. Doing so helps me keep a positive mindset. A reminder that has helped me let go of the notion that life should be easier on the days when I’m struggling the most. I also love many if the thoughts and quotes you share via your blog, book, FB page, etc. Thank you. For me, it’s important to remember that the first step is almost always the hardest. Nice quotes. I wish life, though, can be lived in quotes. I wish every time I saw a money quote, dollars drop from the sky or happiness comes pouring out of people’s hearts through quotes. Good things in life require work. Quotes can provide the energy and motivation to do that, but then we must take action too, and let go of the idea that everything should be easy. Great thought provoking motivational quotes on a subject that affects us all! Joseph, as you say quotes provide the motivation and insights (the first step). That gives us a starting point. We now know where our difficulties lie and what we need to work on. Now we can get coaching help to achieve a breakthrough with this particular blockage. I think this post was meant for me. I struggling with letting go right now. 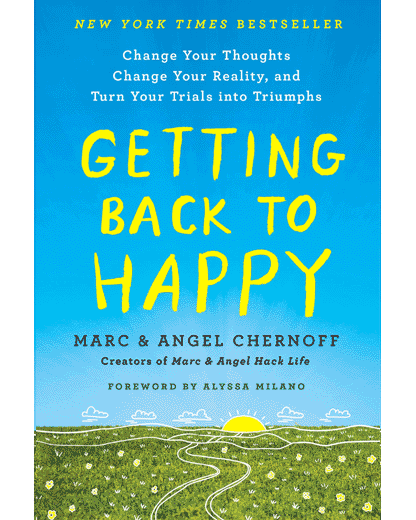 Thanks Marc n Angel… it gives me hope that I can one day finally let go!! The timing of this is incredible. Talk about the universe sending you what you need…. Thank you!!!! Courage isn’t having the strength to go – it is going on when you don’t have the strength. I had a wonderful friend who always used to say to me…”and this to shall pass”…and yes indeed it does! Letting go of the fear, which seems to be an underlying issue for all of us. All good points, but it must be taken in context. Sadly, sometimes people need to be accountable for their actions, they need to apologize for the hurts they inflicted on others. It is great and all that we can move on or forgive ourselves but I think this allows people to think “oh well” and move on to the next target. I am not sure what I want to say here other than I feel some people have done arm, continue to do harm and never take responsibility – it always seems to be the other person who has to be the bigger human. I mean why can’t it be a level playing field with everyone? The struggle to break free from the cocoon is nature’s way of preparing the butterfly to learn to fly. As it fights to emerge from the restrictive cocoon, fluids from the body get pushed into the wings, making them stronger, making them larger, enabling them to fly. Without this struggle, the butterfly stays weak and unable to fly. The old saying of setting something free helps. I also find that saying “some relationships aren’t meant to last” really helps. I expand that into “some Things” which helps with my current job/company which has been on a downward spiral for years. Thank you so much for your site and book. These are all very useful IF you are healthy enough to walk away and move on. There are a lot of recovering addicts that read your site and it’s very useful. However, sometimes it’s best to stay and change for the better in order to move on… but not until you have a clear mind and have done necessary work on yourself. I believe that you’re “short changing” yourself to just keep walking away, letting go and moving on in all cases. I would like to add a quote.. Looking in your past is like looking in your Rear-View Mirror: if you stare for too long you will crash – Again and Again. It’s my quote actually 😛 Another amazing quote compilation. Also, just living in and staying focused on the present. It’s been a challenge, but has been really helpful to me lately. Cmc, I don’t think anything here means forgetting or not taking responsibility for past mistakes, and especially for one’s addiction (which requires lifelong vigilance). I think it’s more about letting go and moving on and taking the lessons learned with you to carry you along the way, as opposed to stagnating and dwelling on that which is over and done. Just a thought. This list is very timely. Thank you. I always took comfort in that one. Letting go isn’t about not loving someone. It’s about realizing you love that person so much that their happiness means more than your selfishness. Thanks Marc and Angel. This gives me the courage and drive to move on from negativity I’m dealing with. Thanks Marc and Angel. Such wonderful wisdom. We need to take an active role in creating the life we want. You’re spinning in cycles that you won’t disengage. And one day you’ll wish you’d chesrished this precious time. Living the moment, will set you free. You’re clinging onto a past now dead and gone. Unlock the chains to your heart, free at last. One of my favorites is “Therefore do not worry about tomorrow, for tomorrow will worry about itself.” Very useful when spinning my wheels in the future. Marc and I just read all of the quotes you shared. LOVED them. Thank you so much, as always, for inspiring me. For those who may not know how effective these are, they really are! Try implementing some of these in life and you’ll see. Just don’t let the zeal die down in the middle, though. This one, “You have to understand that people come and people go. That’s life. Stop holding on to those who have let go of you long ago.” really stood out for me. I also have a favorite motto. “Nothing beats a failure but a try”. Thanks for the much needed and felt posts! When things are not meant for me, I learn to let go. It doesn’t mean I’m weak. I’m just trying to show how strong I am to fight the urge of wanting something I know I am not supposed to have. Really nice list of quotes. Its just like a energy for those who are in negative mood. Learn to let go & move on to positivity. This is a favorite of mine…..
Every lyric in the song is a quote. I listen to this song on my lowest days. It is really uplifting when I listen to the lyrics and really take in the meaning of the song. I might be knocked down but I am never knocked out! “Remembering that I’ll be dead soon is the most important tool I’ve ever encountered to help me make the big choices in life. Almost everything–all external expectations, all pride, all fear of embarrassment or failure–these things just fall away in the face of death, leaving only what is truly important. Thank you, this info is God sent and couldn’t be put in better words. Going through some rough time in my life and this post is really helping me to stay strong. I’ve been always stayed positive in my life somehow this time the failure dragged me down. When things get tough, the tough get going.. Thanks. After reading these inspiring quotes and thoughts I’m feeling more relaxed.